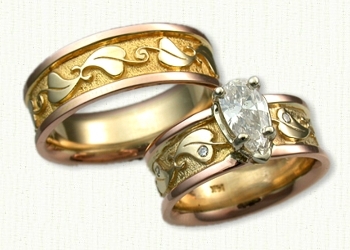 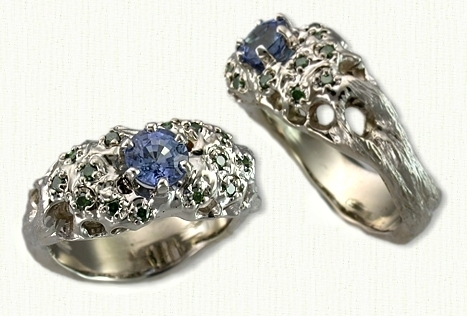 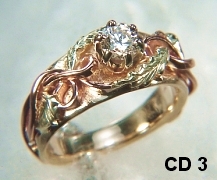 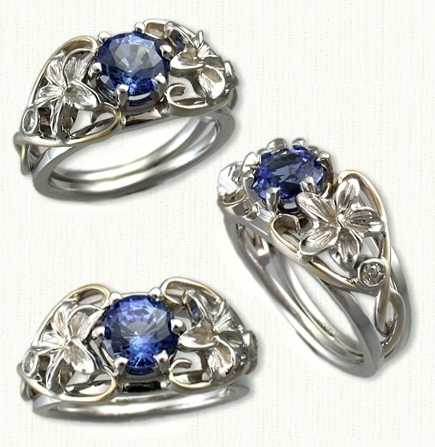 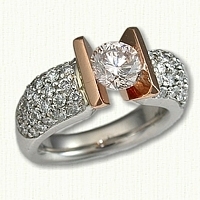 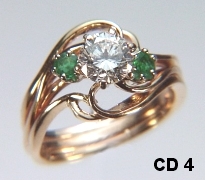 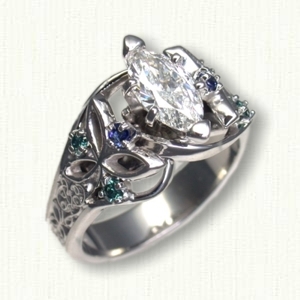 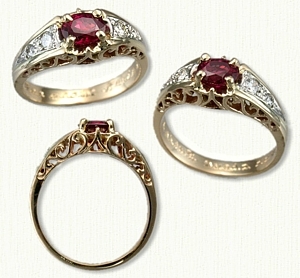 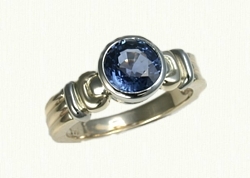 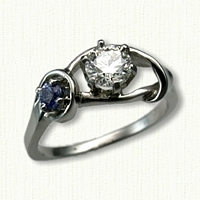 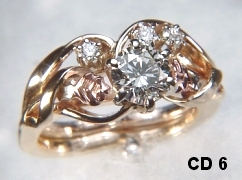 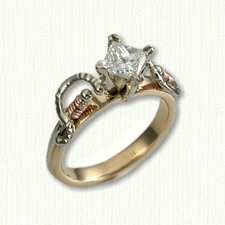 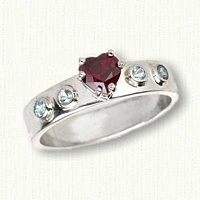 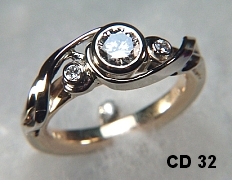 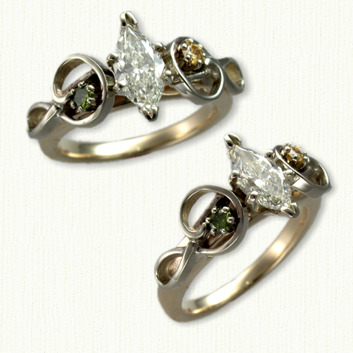 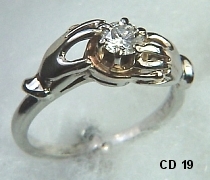 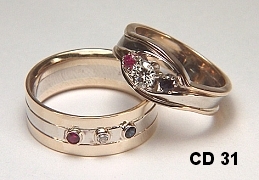 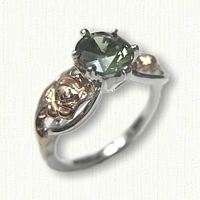 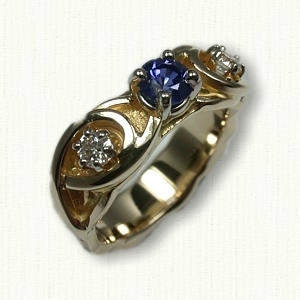 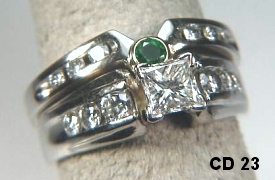 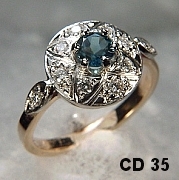 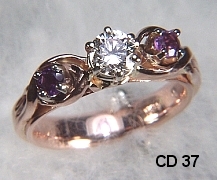 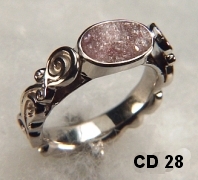 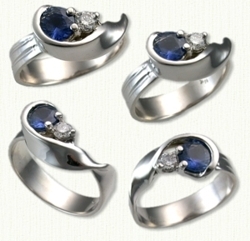 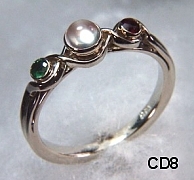 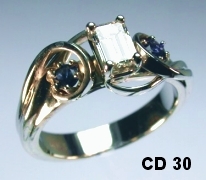 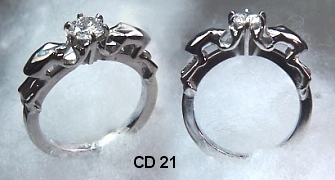 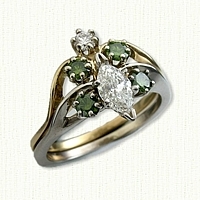 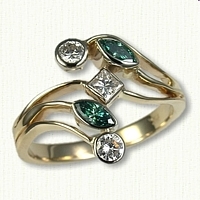 These custom engagement rings represent some of deSignet's unique creations. 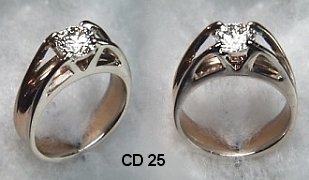 All items shown here were crafted for a specific customer and while we will gladly create something similar, it will not be identical, as all our product is hand made. 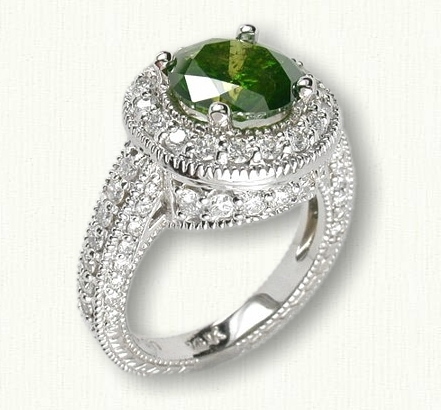 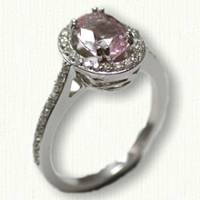 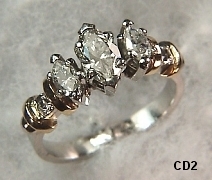 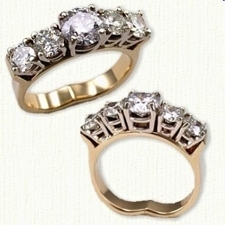 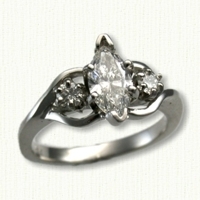 We hand fabricate our mountings and are therefore able to accommodate most ANY size and shape stone. 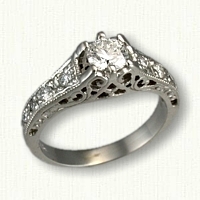 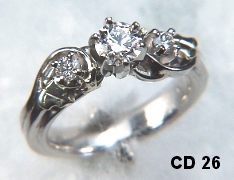 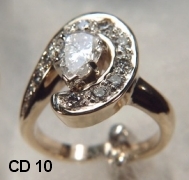 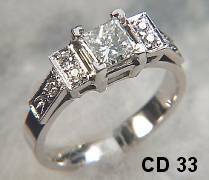 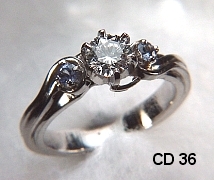 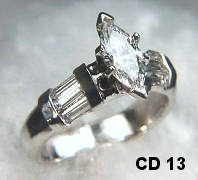 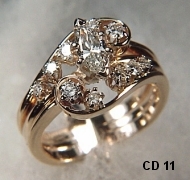 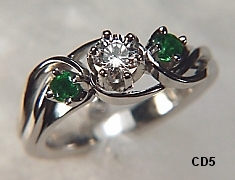 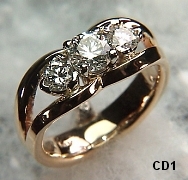 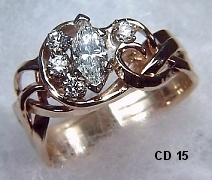 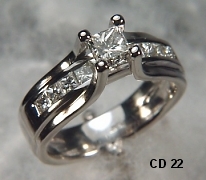 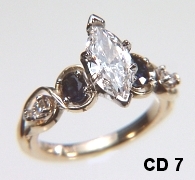 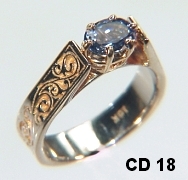 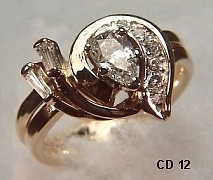 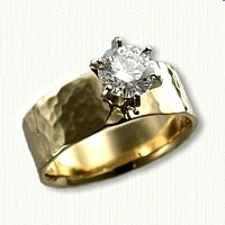 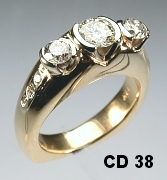 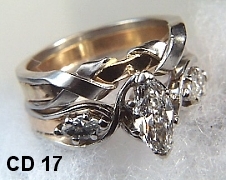 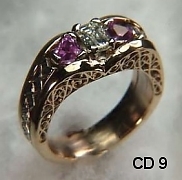 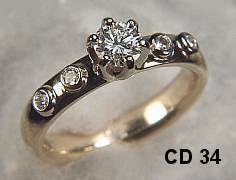 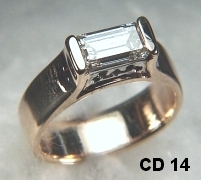 If you would like to get a quote for the particular engagement ring listed here or to create your own design, please E-Mail us with as much information as possible : style, size, metal or metal combination, stone grade and size. 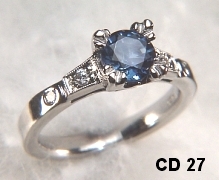 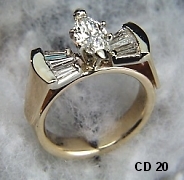 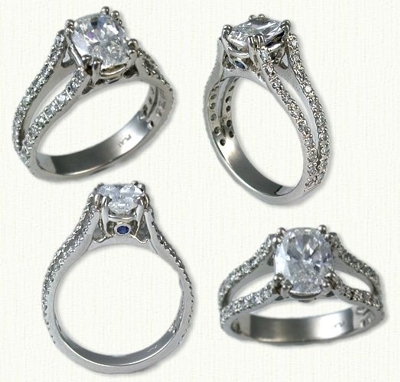 We will sketch any idea you have, and quote you on the cost of the engagement ring as well as a diamond or other gemstone as per grade. 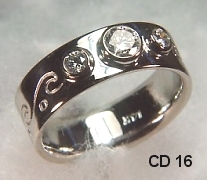 NOTE: All custom orders, rush fees and shipping are non-refundable.